What is a Veggie Club? You are here: Home / Deliciousness & Loveliness by Subscription / What is a Veggie Club? By joining our CSA, you are reserving a full season of wonderful, freshly harvested vegetables. Seedtime & Harvest will fill your CSA share with vegetables each week, with more emphasis on basics (such as salad greens, carrots, cucumbers, tomatoes, sweet potatoes, winter squash); and occasionally unfamiliar vegetables (Savoy cabbage, collard greens, fennel). Our Full Summer Subscription provides the vegetable needs of a family of four eating a primarily vegetarian diet. And winter squashes, garlic, sweet potatoes, and hardy greens carry us through Fall. Smaller families and couples can choose to receive veggies bi-weekly or monthly. This is the same as the “Full Summer Subscription” and is delivered every other week (13 weeks) or once each month (6 weeks). Our veggies are so fresh, that you have plenty of time to eat it all. Start your week by eating the lettuces, delicate micro greens, and other salad ingredients. Peppers, cabbage, cauliflower, etc., will hold (well wrapped in the refrigerator) to be eaten the following week(s). By the end of the second week, your refrigerator’s veggie bins will be looking a little bleak, just in time to pick up a fresh batch of veggies. 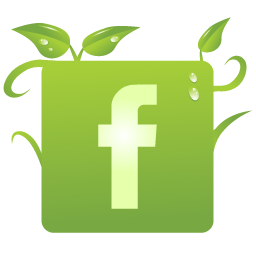 Note: Our online sign up is located on our sister company's website Alissas Flower Farm. By clicking this link, you will be taken to that site for your Veggie Club signup.